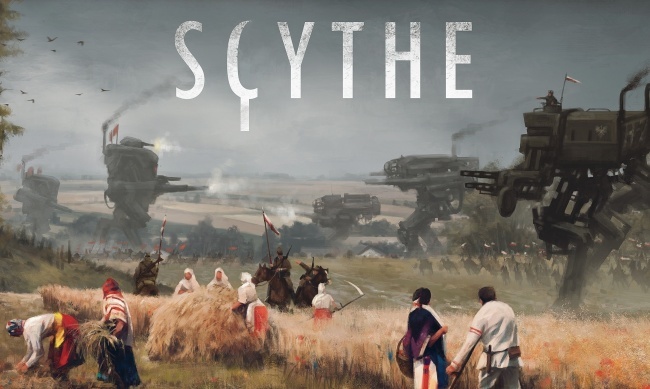 Stonemaier Games has announced the new alternate-history mech-combat board game Scythe, which has raised over $775,000 from more than 8,000 backers in the first three days of its Kickstarter. Designed by Jamey Stegmaier (Viticulture, Euphoria) the game is based on the artwork and worldbuilding of Polish artist Jakub Pozalski. 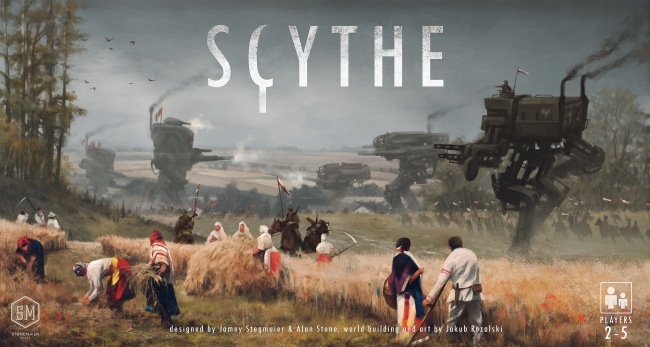 Scythe is a 4x(explore, expand, exploit, exterminate) game taking place in an alternate 1920s Eastern European country, in the wake of the Great War, which utilized alternate technology including giant Mechs. Players take the role of war heroes from one of five factions (represented by a faction board), who are competing to claim the land surround a mysterious abandoned factory where the Mechs were once produced. 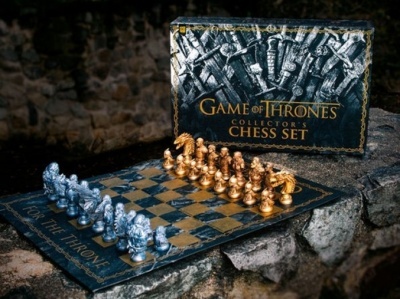 This is paired with a random player mat (to maximize replayability), which represents the statistics of a player’s growing empire. 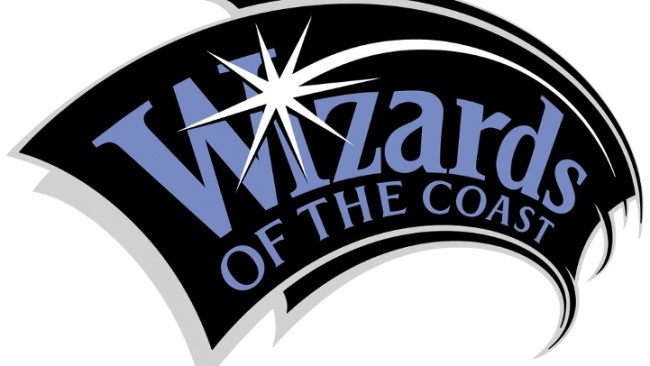 The player mat statistics and costs are upgraded as the game progresses. Combat in the game is not random; it is based on player decisions. Players also interact with the local population through Encounter and Objective cards. 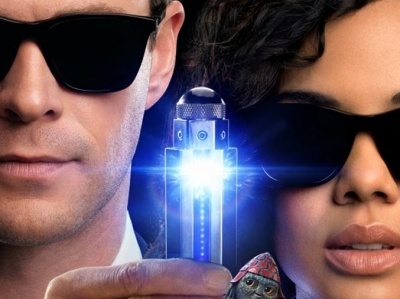 The game is for 1-5 players, and plays in about 120 minutes. MSRP is $80.00 Trade release is planned for September 2016. The Kickstarter Campaign has raised $782,724 from 8,097 backers ($96.67/backer average) as of this writing, and the campaign will be funded on November 5. 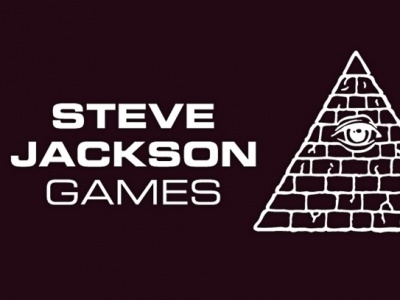 An unpublished retailer level is available, which includes the Kickstarter special versions of the game. 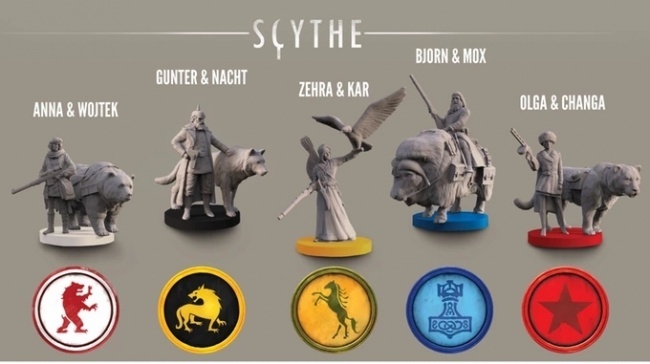 Retailers can contact Stonemaier Games for pricing information. Stonemaier Games will release its latest game, Between Two Cities, to retail next month (see “Stonemaier's New City-Building Game Arrives In November”).